Do you ever feel that making a compelling video is just too hard? But how can you make great video without working overtime, hiring expensive professionals, and spending thousands of dollars on equipment? Enter Biteable, and suddenly, you can make fun-to-watch videos in less time than drinking a cup of coffee. It’s incredibly easy to use and you can get started for free right away. Head over to Biteable and click on the sign up button in the top right hand corner. 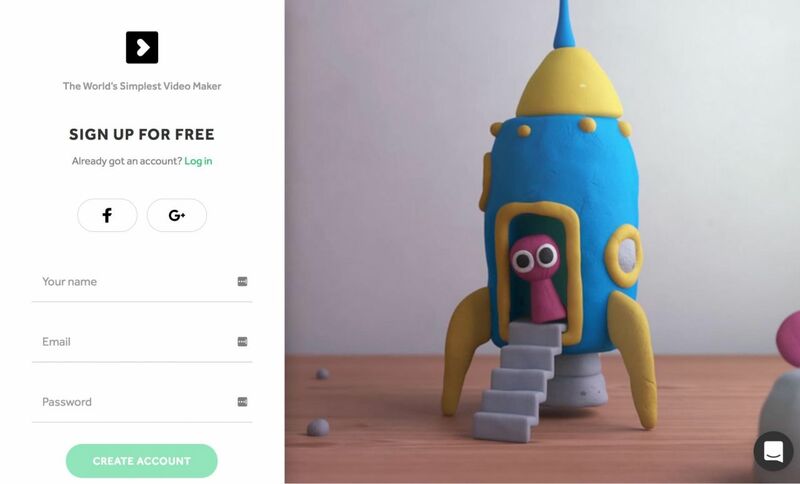 To get started, click on Create a New Video. Now we’re getting to the big question. You need to decide what type of video you’re going to make. Once you know what you want to say, it’s time to pick your format. You can chose one of the suggested templates, or make your own by putting different scenes together from scratch. If you’re searching for something more specific, need a little extra inspiration, or just don’t have that much time, head over to our extensive template library. We’ve got a template for every need, style and preference. Choose a template and select Edit Template or click on the blue arrow. The scenes are laid out for you. All you’ve got to do is add your text and watch the video effortlessly come together. 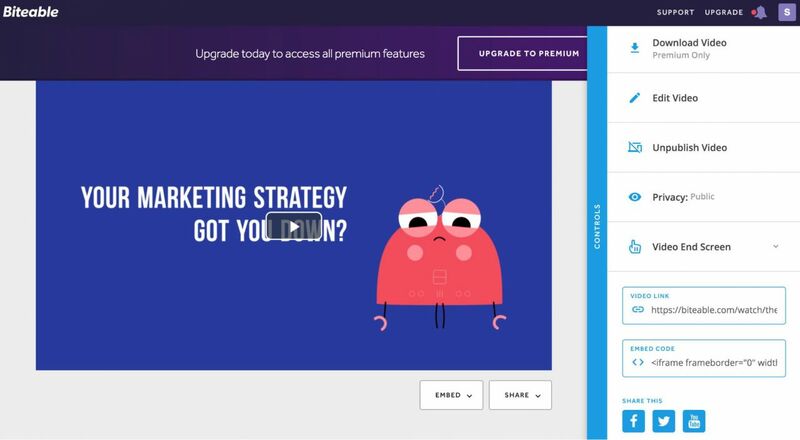 But what if you want to customize your template? Easy-peasy. Move scenes around: Just grab the scene and drag it to the right place. If you decided to make your own, you’ll need to give your project a name. As soon as you’re done, click Continue. Things are about to get interesting. Choose your favorite type of scene from the selection and click on it. 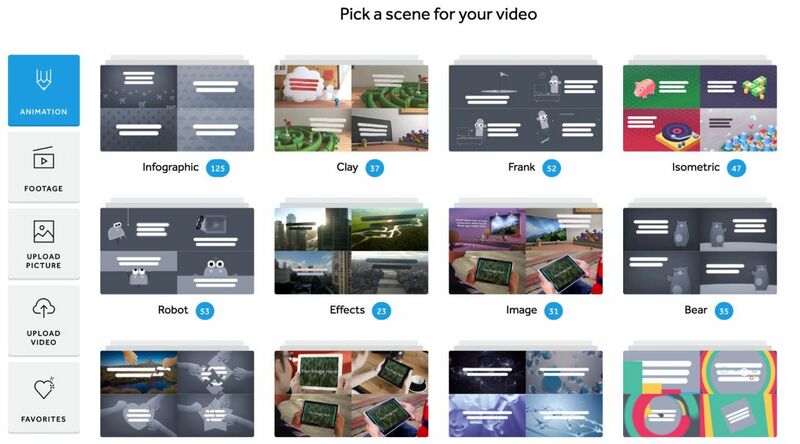 From here, you can select each scene for your video from within the theme. Once you get into more advanced video making, you can even mix and match. 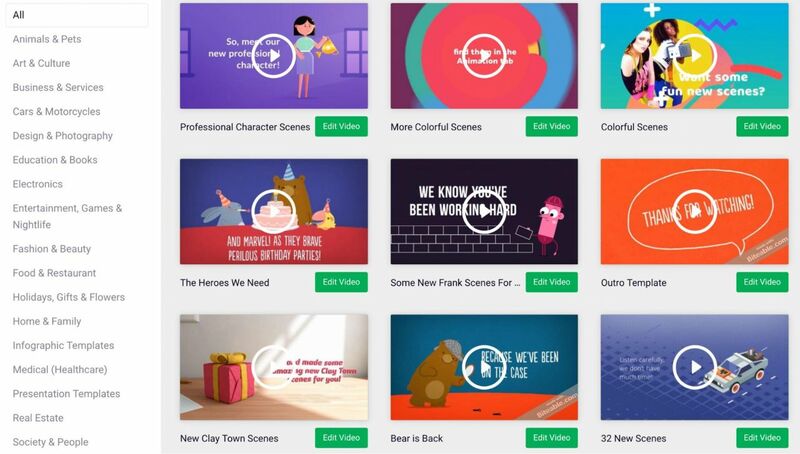 Your scenes are ready, and you’re happy with the text. 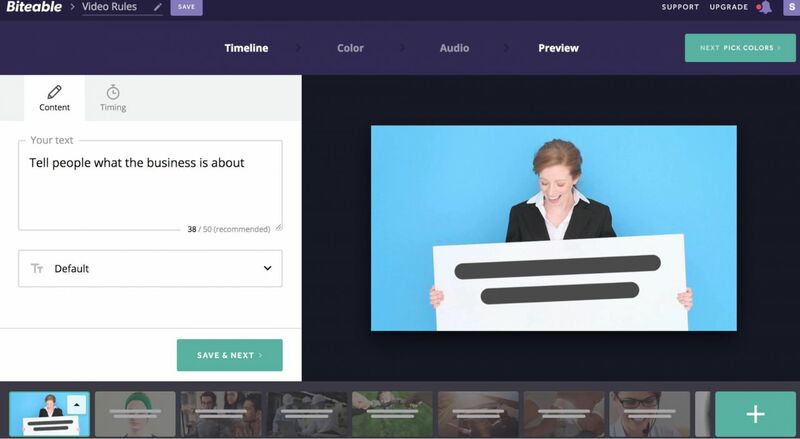 Now it’s time to give your video a unique, on-brand look by adding color. Click on ‘Color’ at the top of the preview panel. 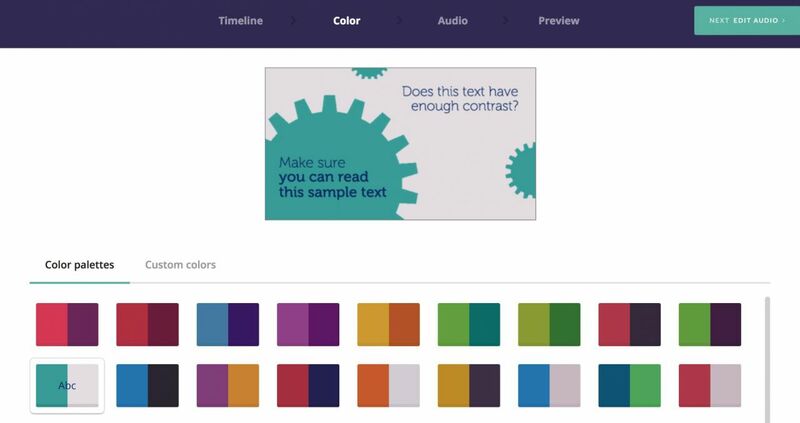 Use one of our custom palettes or click on Custom Colors to add your own brand colors. When you’re happy, you can go back to Timeline to preview the colors (hover your mouse over the preview panel and click Preview), or just go to the next step, Audio. What’s a video without audio to make it pop? Choose one of our tracks or upload your own. Not sure how to get the right sound? Check out our list of great places to find royalty free music for your videos. Or, if music isn’t your thing, and doesn’t fit your video, you can add a video voiceover. When you’re satisfied with the way your video looks, click on Preview. It’ll take a couple of minutes for everything to come together. Once your video is ready, going back and editing is super simple. Just go back to the timeline, click on the part you’d like to edit and make the changes. You can add new scenes, catch spelling errors, and make sure everything flows together perfectly. When you’re completely satisfied with your video, click on Publish This Video. Your video is ready to share! 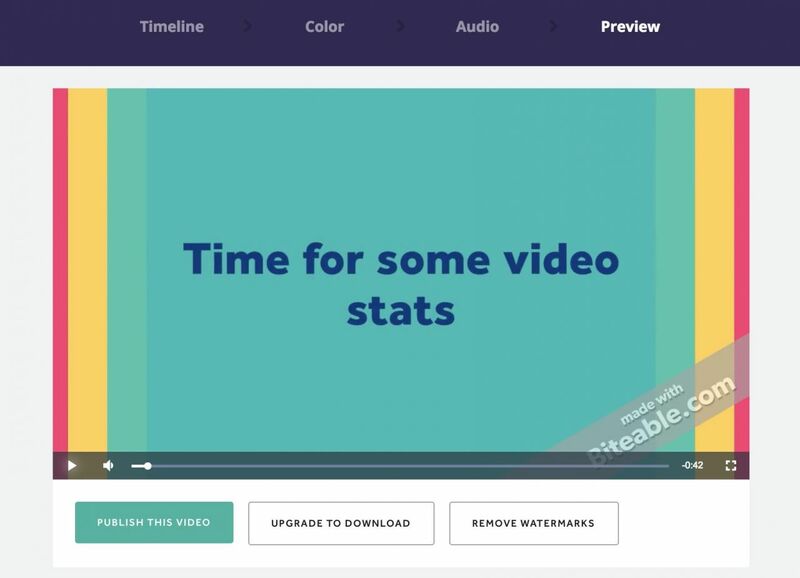 If you want to get rid of the watermark or download a copy of the video, you’ll have to sign up for a Premium account, but you can still embed the free version on your website or publish to Facebook or Twitter. Crafting a video with Biteable is quick and easy. Stop elbowing video aside for other types of content because they’re more familiar, and start making your own. Not sure where to start? 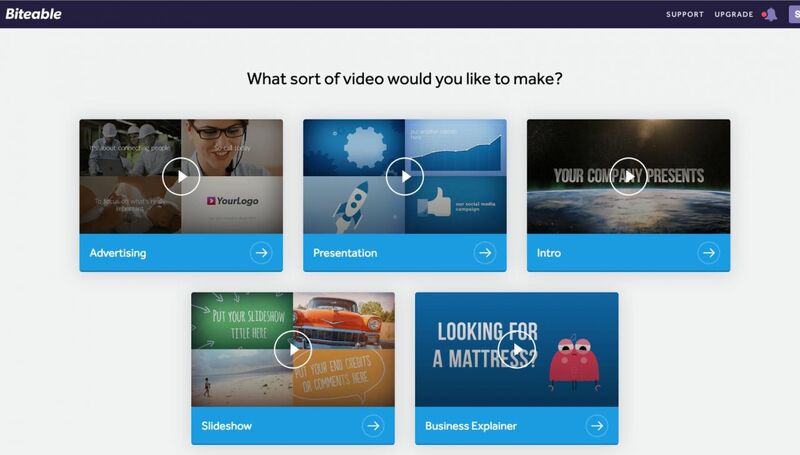 Check out this list of video ideas for your business and pick the perfect one for you. If you need further help on the specifics of using Biteable, you should also check out our comprehensive FAQ. 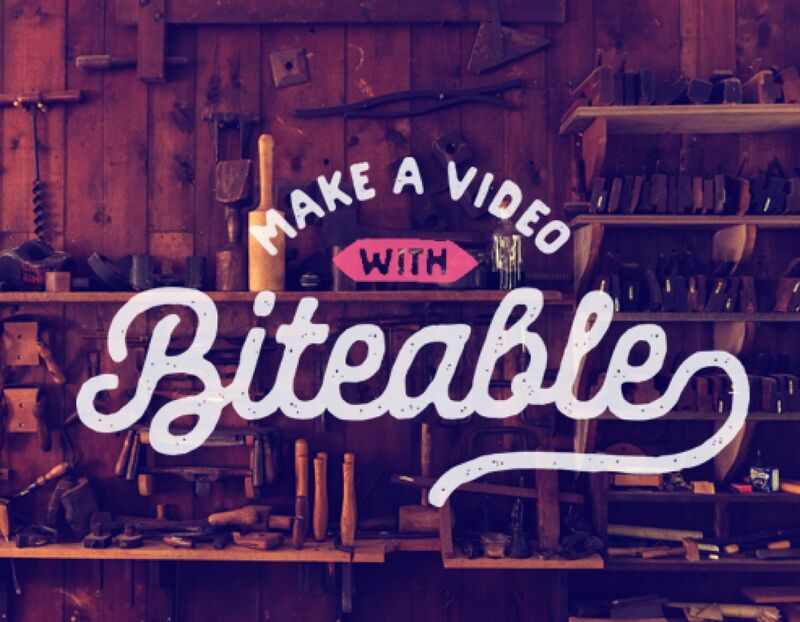 Make your first video with Biteable today.